So you live in JP Nagar and need to brave the destruction that the Metro construction(s) are wreaking on the roads to any happening place with good food. The new year has brought with it the opening of new places (all distinct and interesting, we promise!) Some of them have quietly existed for a couple of months without bothering anyone, but we’re here to tell y’all about them when you need to check out places to eat around your hood! If you see the huge doors that could fit an elephant through at the back end of JP Nagar, don’t assume it’s to another apartment complex. It’s to a huge brewery that you can inconspicuously escape from your block’s kitty group, or that girl (or boy) next door who had a side you didn’t know she had till now. While they aren't pouring any of their brews yet, they do have a huge range of cocktails that are reasonable as they are potent. Munch on pizzas, neer dosa, or chicken curry - anything if you’re looking for something outside the regular North Indian fare, and their Tiramisu ties it all up nicely if you're a dessert person. 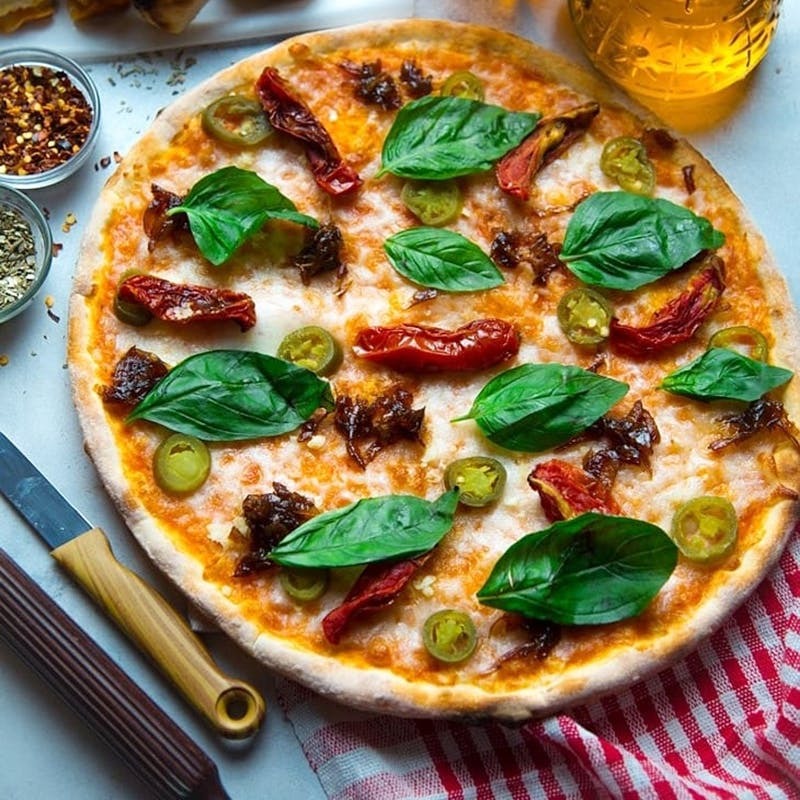 An actual pizzeria in JP Nagar seems exciting, doesn’t it? Finally arriving to the 'Luru, you can watch the whole pizza making process live (you already know how it’s going to taste just by the smell). Their gourmet pizza is a pizza you can make yourself (with as much cheese as you want with whatever toppings you want), and on occasion can actually be made in the kitchen with the chef. If that doesn’t sound like your ultimate childhood dream, they also have dessert pizzas if you don’t like choosing between the two. A little birdie also told us that they serve unlimited coke. Designed to look like you’re, well, levitating over the sea of urbanisation of the area, this is another craft brewery to comfortably head to when you don’t feel like going the distance to say, Koramangala during the week. Currently, they pour five brews (we recommend their Stout), and an experimental cocktail menu if that’s how you want to be in high spirits. The food options are Indian inspired to a large extent, so this is a good place for post work drinks and catch ups with small bites. And we hear that their desserts are top notch too. An army-themed restaurant, the place takes the theme seriously right from the lighting to the staff’s outfit! A great place for the whole family, they serve the standard Indian fare (we recommend having a shorba to start). Each section of the restaurant is designed to look like a potential “camp” of the army (underground, bunkers, tents, army mess, supply room, and the like) and have some props and (possibly real) paraphernalia too. While you wait for your meal, check out stories of some of the people who’ve served our country. If you’d rather not wait on a a weekday, they serve combo meals for a quick service. Located by the JP Nagar underpass on Outer Ring Road(not to be confused with another watering hole of the same name) The Pump House serves up craft brews, beer cocktails, regular cocktails, small and large plates that are super vegetarian friendly with a good range of options (and a whole potato section). The best part? They have a set menu exclusively for post 11:30 pm cravings and meals, you know where you’re taking the gang or your hungry self there when you want to upgrade from Empire.